Would you pay £60,000 for this? THE CAROLE NASH International Classic Bike Show takes place at Staffordshire County Showground this coming weekend, with Bonhams holding their customary auction of classic motorcycles and memorabilia. Almost 300 machines are up for grabs in the world famous auction; a few top-end attractions look set to boost interest in Sunday's sale. 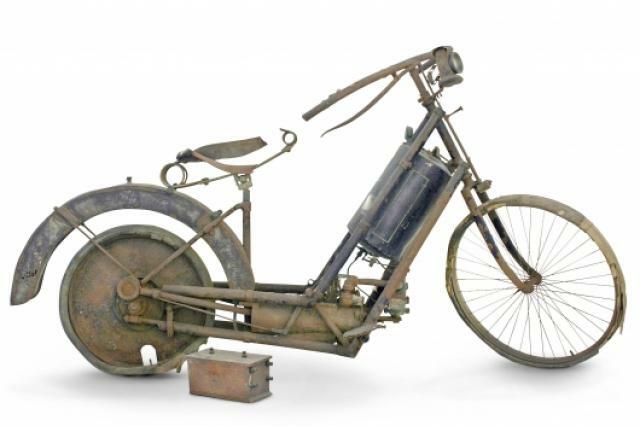 An unrestored 1894 Hildebrand & Wolfmüller, the first powered two-wheeler to enter series production, is one of the stars of the sale; the water-cooled, four-stroke 1488cc parallel twin is expected to reach between £40,000 to 60,000 when it goes under the hammer. But the bike that's expected to top sales figures at Sunday's event is a 1938 Brough Superior SS100. The iconic 982cc V-twin, which has had only two owners from new, is predicted to make up to £130,000. Check Bonhams.com for the full sales inventory.